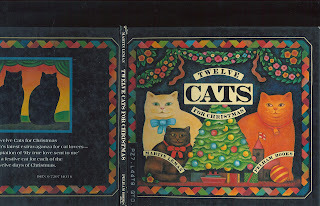 These cats are from Martin Leman's book "Twelve Cats for Christmas". He's a british painter and illustrator, primarily of cats. 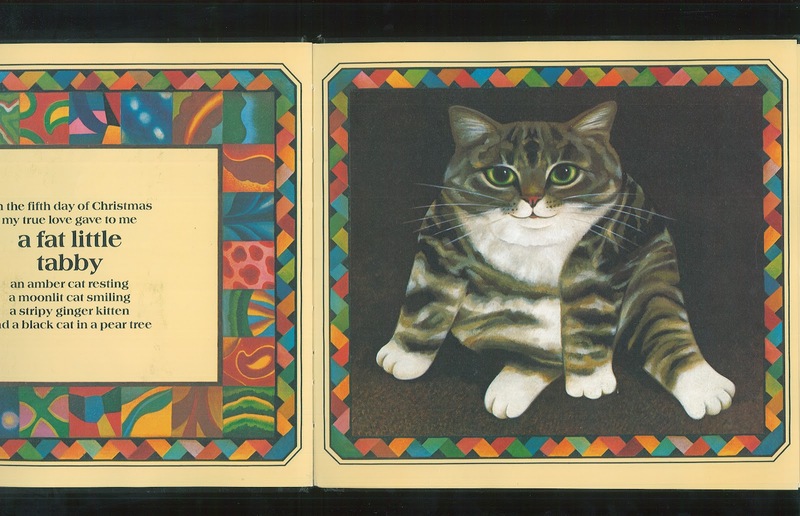 He really likes painting cats. 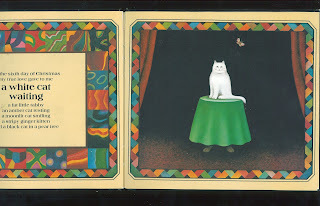 I found the paintings of cats in his book very funny and playful. They have a very strong folk art feel. 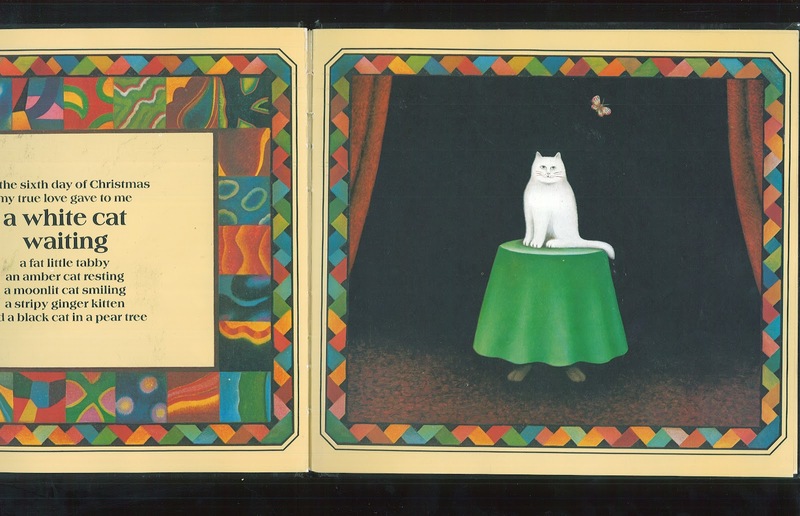 I choose to hi-light this illustrator primarily because I find his cat paintings really interesting. He isn't specific with his paint media in his online presence, although he has is an "Associate of the Royal Watercolour Society". 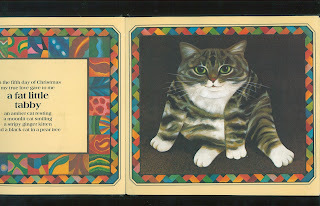 ps: if I get the chance, I will scan some more of the cat books I found! Because I love cats!!!!!! !